Winter has arrived in the Pyrenees. All cols above 1800 metres are now closed. 4 days ago I was out riding in shorts and short sleeves. Now it’s full winter gear. 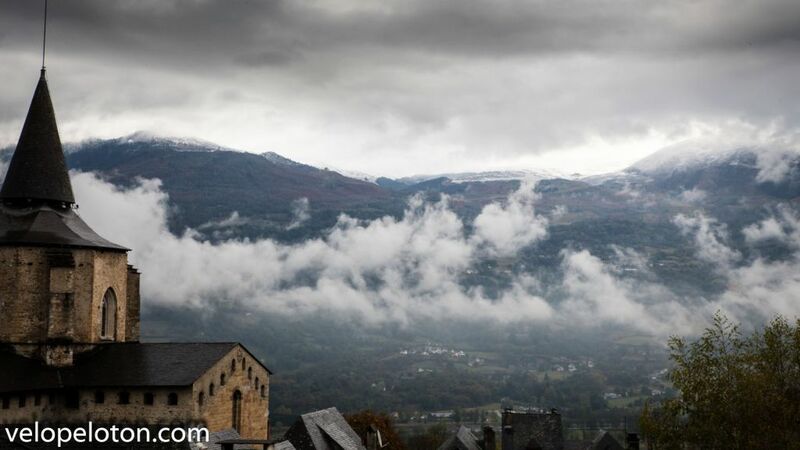 This is the view of Hautacam from Pyrenees Cycling Lodge this morning. Thanks for all the updates about the weather in our Pyrénées (and all your GREAT pictures). One of your pic gave me the idea to ride to Cambasque next spring, i find the end of the road stunning. Now that the Col du Tourmalet is closed, i can’t be much happier because i rode it a last time last week with a perfect weather. But let’s talk about your 2014 goal: 100 times Hautacam => can you give an update ? I’m on 80. Hope to finish first week in December. If you do Cambasque you should also do Pont d’Espagne. That’s what I’ll have for the next 4 months. Actually I prefer the cold to the heat of summer.